All American Pressure Cookers and Pressure Canners are renown throughout the world for precision quality material and durability. Using only the sturdiest heavy duty materials, All American have consistently redefined pressure cookers and developed a range of exhaustive models that meet the day-to-day needs of both consumers and businesses.All American pressure cookers have consistently been named the safest models in the USA. With the U.S.D.A recommending that all meat is pressure cooked, it’s more important than ever before to invest in a model that delivers supreme quality. With each model boasting metal-to-metal seals and high grade aluminium, you can always rest assured that your All American will consistently deliver great tasting food without you having to worry about safety.Our All American Pressure Cooker Reviews will help you to make an educated buying decision time-and-time again. We individually analyze and study each pressure canner and provide you with our own unbiased opinion. 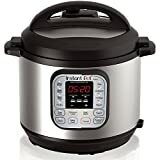 We also compare All American pressure cookers with other brands and models – such as Cuisinart and Presto to give you a wide spectrum of information. If you’re considering purchasing an All American pressure canner, it’s important to be aware of some of the key features to look out for. While not comprehensive and exhaustive, the below list will give you an insight into some of the key features to consider. Quart Size; Opt for a quart-size that is suitable for you and your family, and consider whether you’ll be using your All American pressure cooker to cook for larger groups – such as visitors or guests. A safe quart size is typically between 6-quarts and 10-quarts. Model Number; Consumers rate some All American pressure cookers as being outstanding, while other models have received not-so-great ratings. Price Tag; All American canners are known for their rather high price tags – so always try to get in when there’s a deal or discount happening. The below comparison chart allows you to easily navigate through our All American pressure canner reviews and decide for yourself which model is the best for your needs. We have sorted and filtered each pressure cooker by name, price and our rating. All American 921 $200-$250 4.8 Read Our All American 921 Review..